Home / News and Events / New Article on MADFORWATER! We are glad to inform you that an introductory article on MADFORWATER has just been published in Integrated Environmental Assessment and Management. 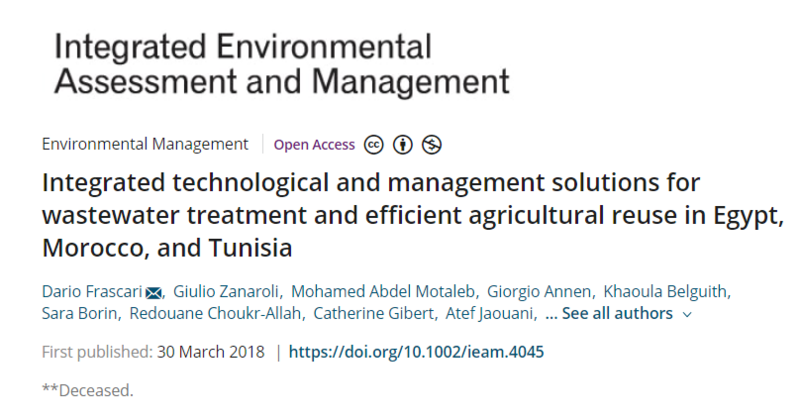 After a comprehensive review of the current status of wastewater treatment, irrigation and water management in Egypt, Morocco and Tunisia, the article “Integrated technological and management solutions for wastewater treatment and efficient agricultural reuse in Egypt, Morocco, and Tunisia” presents the goals, expected results and strategy of the MADFORWATER project. You can access the publication at the following link.